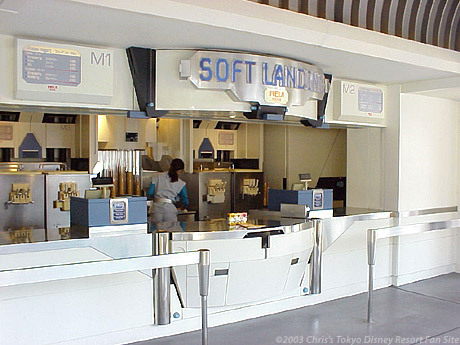 Soft Landing offers soft-serve frozen yogurt. You can get it in a cone, or as a sundae with a fruit topping. Although the menu changes from time to time, occasionally they offer one of my all-time favorite Japanese frozen deserts: soft serve green tea ice cream. Soft Landing isn't all that easy to find. It's upstairs, adjacent to the Pan Galactic Pizza Port. If you're exiting Star Tours, take a right and you'll find it.